Today Christine will be sharing on what to look out for preceding the Return of our Messiah. There are many signs that we should look out for that have been made known to believers who search God’s Word for the Truth. Do join us today for the Sabbath Service and we have a surprise speaker instore for you. 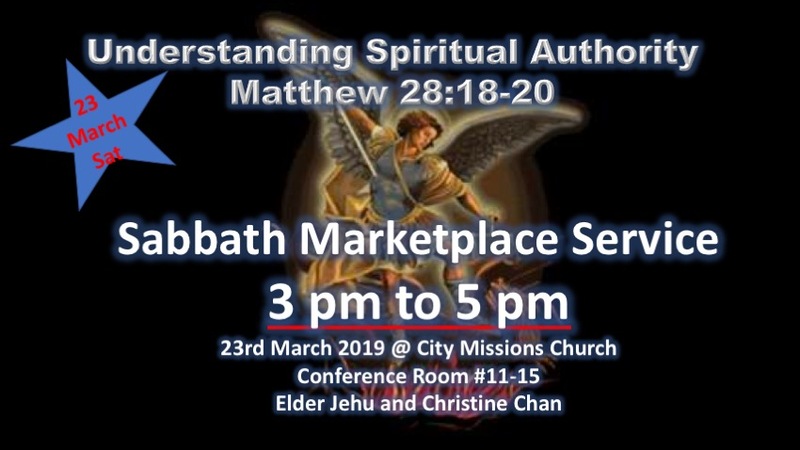 This is a private meeting for likeminded believers who want to celebrate God’s Sabbath with us.